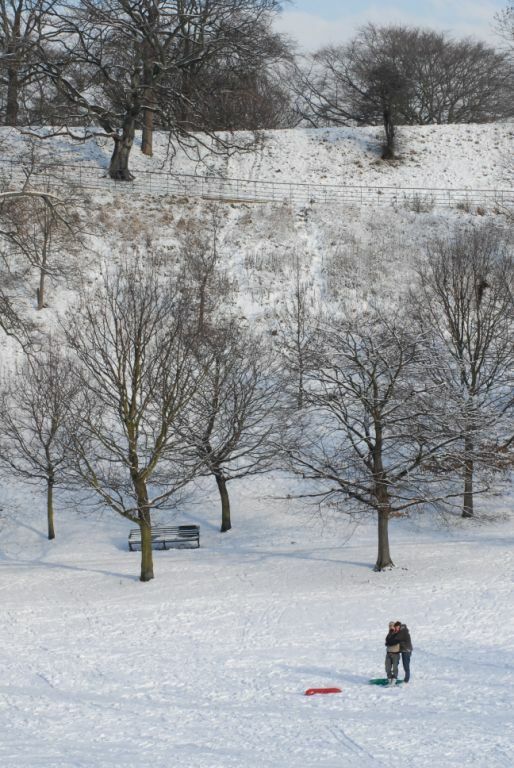 Daily Photo: 15/01/10 – Yes, it’s another snow picture. 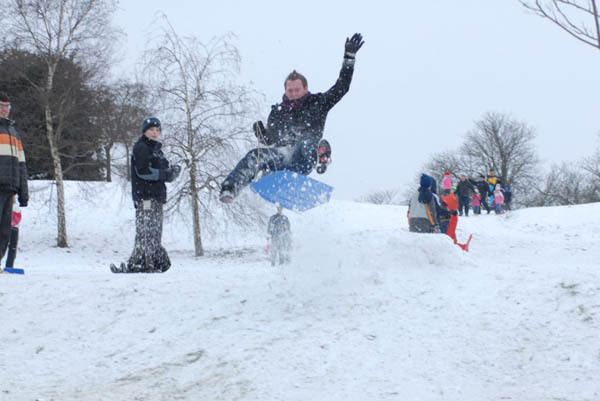 Frankly, the novelty of snow has long since worn off for me but I couldn't ignore this lovely photo from the batch that Fergal Spelman kindly emailed in. 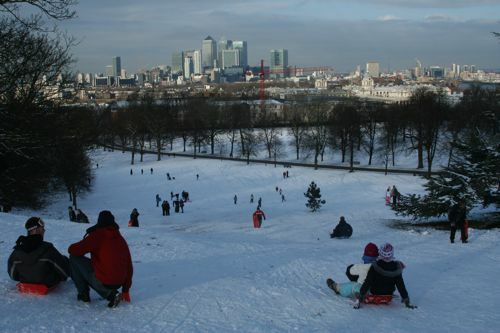 Many thanks to Fergal Spelman who sent me a fantastic batch of photos to use - here's the first, which shows some recent sledding action in Greenwich Park. 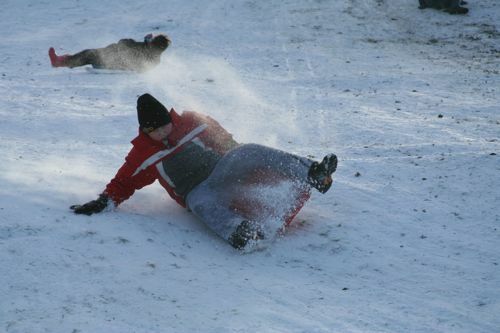 Many thanks to Ed Ewing for sending me these photos of people sledding in Greenwich Park. Happy New Year, everyone. 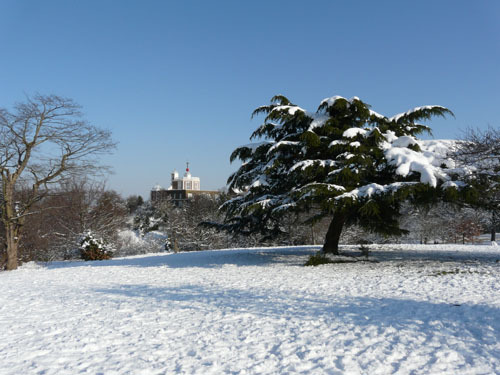 I'm starting the year with a look back to Greenwich Park about a week before Christmas when Neil Clasper took this gorgeous photo of the park in the snow. 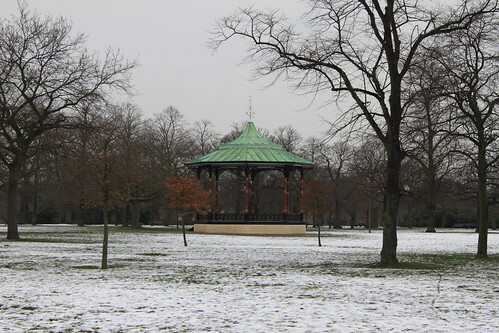 The bandstand in Greenwich Park, taken earlier this week. 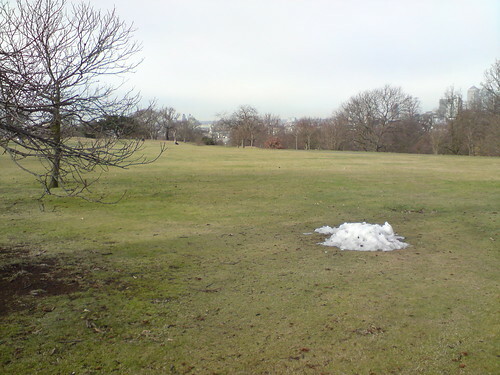 Saw this rather sorry looking lump of snow in Greenwic Park last week and thought I'd get a picture. Will it be the last of the snow for this year? 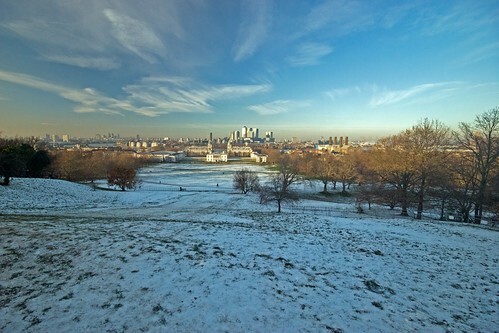 I wasn't planning to run any more snow pictures this week, but then Stephen sent me a batch of gorgeous photos taken in Greenwich Park this week, so I thought I'd share a couple here and save the rest for when the snow is but a distant memory. Wow, stunning blue sky and that cold white floor below. 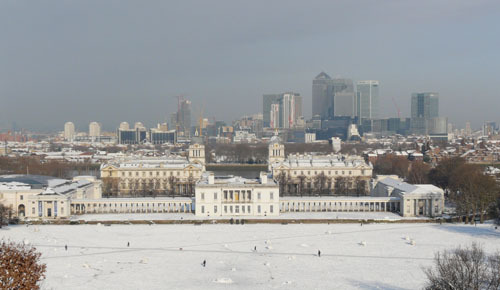 One of the best views in London, but with a dusting of snow added. Thanks Stephen, for sharing your excellent pictures. 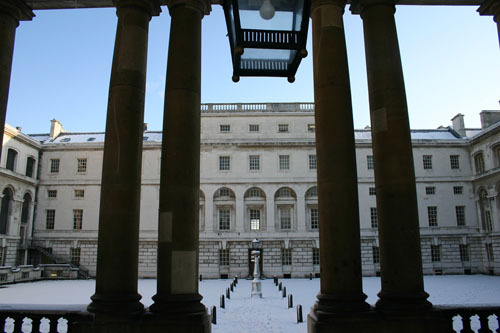 This is probably the last of our snow themed Daily Photos for the time being, and shows the courtyard of Queen Mary Court at the Old Royal Naval College. Photo was taken and contributed by Nick Davison at the University of Greenwich. 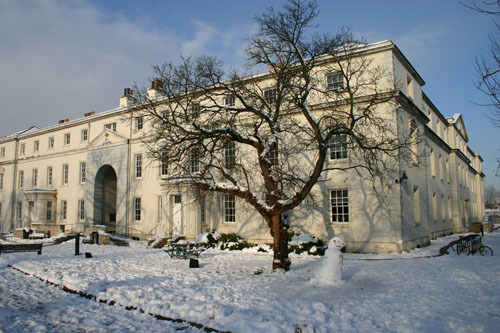 Continuing the snowy theme of the week, here's another great picture from the lens of Nick Davison at the University of Greenwich showing the Dreadnought Library.